What is Curiosity and What Does It Mean? Let’s start with explaining what curiosity is. Curiosity is the desire to learn, to understand new things, and to know how they work. Curiosity can manifest in many ways, as the desire to read the gossip columns or watch reality shows on TV, or as the desire to know about people and their lives. It can also manifest as the desire to accumulate knowledge about science, geography or other topics, or as the urge to know how to fix things. Curiosity is the expression of the urge to learn and acquire facts and knowledge. It widens the mind and opens it to different opinions, different lifestyles and different topics. Curious people ask questions, read and explore. They are active about seeking information or experience, and are willing to meet challenges and to broaden their horizons. They are not shy to ask questions and delve deeply into the topic that interests them. Curiosity can be directed to gossip and unimportant details, or to matters that are more important. It can also lead to learning, acquiring knowledge, and becoming an expert in one’s field. 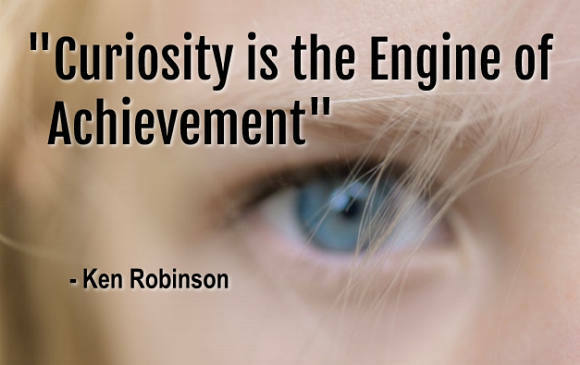 Curiosity is a vital ingredient for becoming a good journalist, writer, inventor or scientist. Curiosity is important for excelling in any job and doing it better, because you ask questions, learn from others, and look for ways to do your job better. The mind of curious people is active. They want to know and to understand. This puts them in a better position to learn a job and do it better and more creatively, unlike a person who lacks curiosity. When curious people fail, they analyze their failure, because they are keen on knowing the reasons, so they can do better the next time. This increases their chances for success. Being a curious is important for excelling in any job and doing it better, because you ask questions, learn from others, and look for ways to do your job better. If you show more interest in what you are doing, you indicate that you care and want to learn and progress. Children are often curious by nature about everything. As a parent, you need to encourage them to ask questions, learn new things, read books, have hobbies, and keep the flame of their curiosity. Curiosity is an important ingredient of the process of learning at every age. Children at school need it and so do students and people in every job. Its possession awakens interest, motivation and a feeling of being alive. Living without curiosity makes life boring, while its presence makes a person more alive and energetic. It keeps the mind strong and in good shape. Intellectual curiosity is vital for keeping your mind sharp and agile and is important in every age. It stimulates the mind and keeps you young. I have gathered below a few quotes about curiosity and its importance, which gives further insight into this topic.